The Backwood Wilds is set in a fictional territory in a non-specific area of North America, based off the landscape of North Carolina. The time period is pre-colonisation, set around the early 1500s. 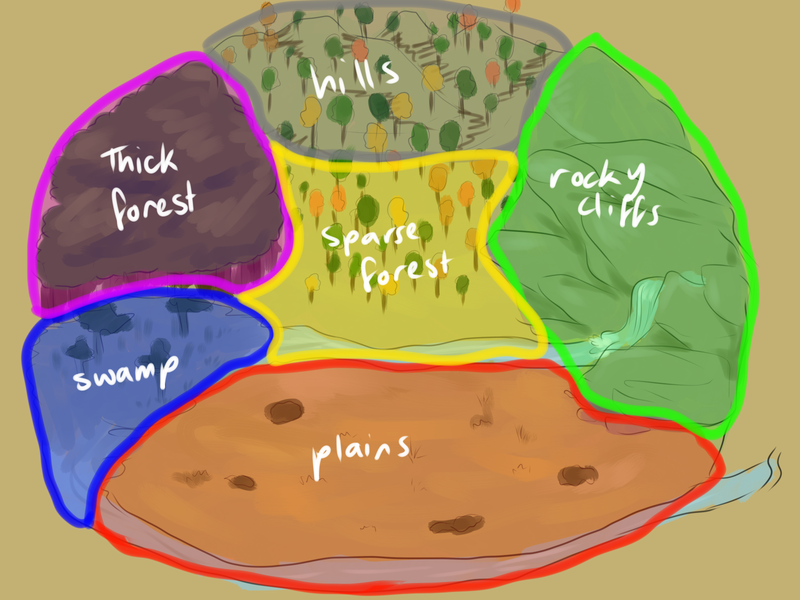 The territory is divided into 6 areas based off the natural formations of the region. Each of these areas is a separate roleplay forum. Your roleplay thread must be posted in one of these areas' forums, depending on where the roleplay thread is based. If the characters are moving between areas, post the thread in the area the roleplay begins in. 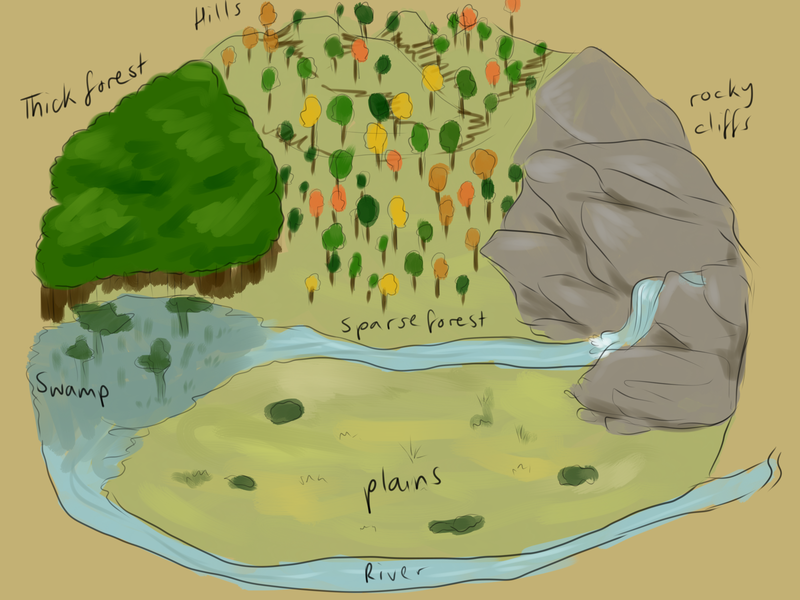 Hills: Like the sparse forest area, except the terrain here becomes steeper and varies a lot in height. Thick Forest: Not much light enters this forest, and so it works as a good cover from extreme weather conditions. May be difficult to hunt here, as there are tree trunks everywhere. Sparse Forest: Some would say that this is a good place to hunt. Many animals live here, and the trees don't get in the way. Part of the river is included in this area. Rocky Cliffs: A good place if you wish to look out over the whole Backwood Wilds territory. The rocks are slippery when wet, and so they may be very dangerous to traverse at times. The waterfall is included in this area. Swamp: Mostly shallow water, but watch out for the hidden deep areas. Who knows what may be lurking in the swamp. Plains: A nice place to hunt. The river is also included in this area.